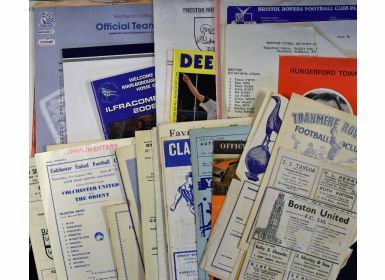 Selection of mixed football programmes to include Non-League and Reserves to include 1950’s (12), 1960’s (20), 1970’s (9), 1980’s (23) with 1954/1955 Boston Utd v Grantham, Tranmere Rovers reserves v Stockport County, 1959/1960 Blackpool reserves v Sheffield Wednesday, 1962/1963 Wimbledon v Colchester Utd (FAC), 1969/1970 Durham v Stanley noted. 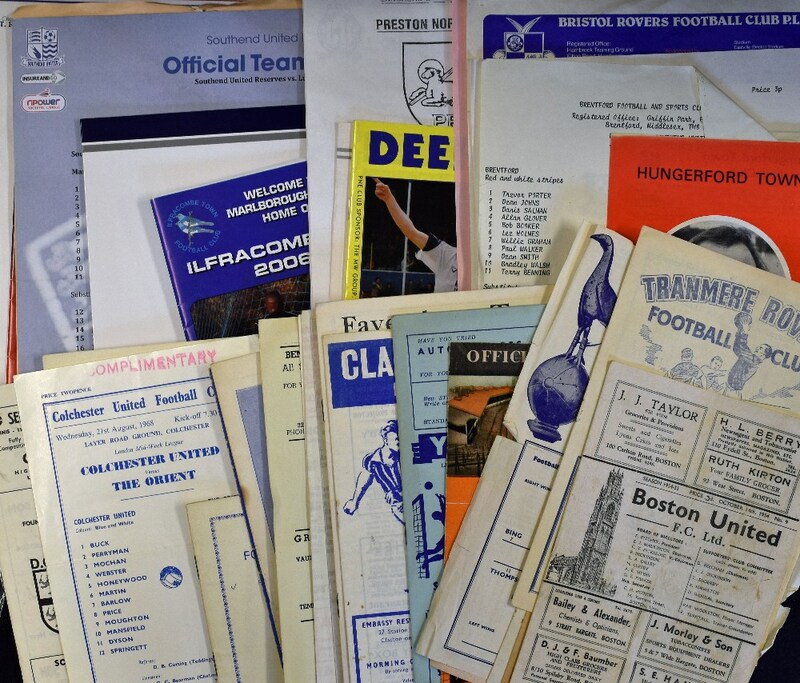 Also has modern team sheets from 1990’s onwards (57). (120+) Fair-Good.